This comprehensive reference manual unravels all the intricacies of Finale 2014, for Windows and Mac platforms. 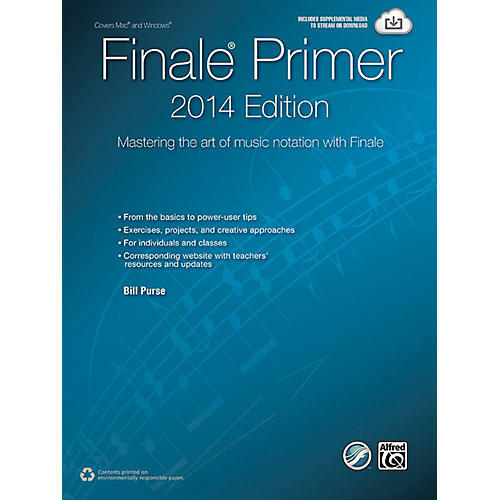 Finale Primer: 2014 Edition helps you set up, edit, reformat, and reorganize your notation into a musical masterpiece. This fully illustrated step-by-step guide offers exercises, projects, creative ideas, and power-user tips that will improve your speed and help you become a Finale expert. This book is indispensable whether you're arranging an existing piece of music or creating an original work.